It’s always hard trying to navigate the sea of marketing companies with their endless promises and its not cheap! Julie at Sore Thumb Marketing gives true value for money. She studies your business and your target markets attentively. Not only did Décor Books get featured in many media articles but she brought successful sales leads too. She will handle everything with little or no work from her client and you can trust that there is always hard work going on in the back ground, almost certainly more than you are paying for. After launching our business, we needed a cost effective way to promote our products to both the press and consumers. We decided to appoint Sore Thumb Marketing to handle all our marketing and PR for the brand. Over a year later and we have been really impressed by the amount of PR coverage achieved as well as the interest and activity we’ve seen on Social Media. Orders started coming in straight away and we are delighted to say, are continuing to exceed forecasts. 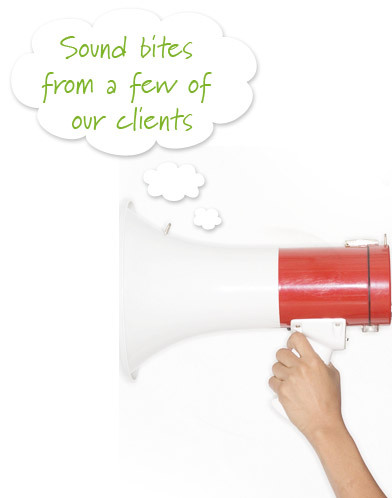 I would have no hesitation in recommending Julie at Sore Thumb Marketing for any PR and marketing needs you have. Jane Voss, Love Maps On. Sore Thumb were contracted by Millwood at the end of 2009 to undertake our marketing. We found Sore Thumb to be very enterprising and have provided us with much needed marketing on a budget that we could afford. Sore Thumb have worked hard and their efforts have really helped us to establish ourselves in the educational market and, without a doubt, brought us in extra sales. Sore Thumb now handle all our marketing and advertising requirements through different avenues which were researched and suggested by them. Having struggled in the past to find time to tackle all the key areas identified to push the business forward; working with Julie has meant that we now have the resources to ensure no stone is left unturned. From the production of key marketing collateral and design projects to event promotion and PR, Julie has been able to offer us a mix of her past experience and knowledge with new ideas and an unrivalled work ethic. Delivering results and a genuine pleasure to work with, Julie has made herself invaluable member of the team. Julie Wilson from Sore Thumb Marketing is a true professional and I have no hesitation in recommending her services. I always felt in very safe hands as Julie was always on top of all our press enquiries and never let anything slip through our fingers. We have had some fantastic results through our PR activities and that is all down to Julie and her amazing work. Thank you so much! Sore Thumb and Julie has worked for Stepping Stones for over two years and in this time has consistently improved our Brand and Image to the general public. This has increased our occupancy rate and reputation substantially. We have been featured in three TV news bulletins, radio interviews and regularly have invites to appear in local newspaper interviews and features. We could not have had this amount of exposure without the hard work and continued efforts of Sore Thumb. We have been working with Julie of Sore Thumb Marketing for over 2 years and have been impressed with the exposure we have received in national press for a range of reader offer promotions. Julie has worked hard to secure space in a range of titles, in return for the products offered, and by ensuring an upsell opportunity was also negotiated, has helped us achieve a good return on investment and built our customer base too. Julie has also secured PR coverage for our products and is always available to talk through ideas and offer advice and suggestions. Julie of Sore Thumb Marketing helped Arc to bridge the gap in our skill sets and communicate with potential clients in a way which we were not able to beforehand. Julie helped with customer contact, email design, PR with key magazines, as well as bringing new ideas to the table which we had not considered before. She has been an asset to our marketing communications and we value all the help she has brought to Arc Education. I have worked with Julie for a number of years and have experience of collaborating on projects with her and also have direct experience of how Julie delivers campaigns for a number of other Education clients. Scholastic employs Julie to run the PR for a major national language teaching award; Julie helped create a successful template for the award PR and for two years running, she has managed all PR work associated with the award, securing extensive coverage across print, digital and broadcast media, such as Radio 4, the Times Educational Supplement, ITV regional TV and regional press. Julie is extremely professional, enthusiastic and driven to deliver the best results she can from a campaign. She is personable and polite, but has the drive and determination to ensure that all opportunities are followed up. Julie documents all work and responses so that at the end of a project, you have a comprehensive report that captures the results of the campaign. This has proven to be really useful when reviewing projects in subsequent years. As a publisher, Scholastic has frequently been on the receiving end of Julie’s PR work for external clients. She is excellent at understanding the title she’s approaching and packaging stories to be absolutely relevant to the people she is talking to. This avoids wasting time and puts journalists in the best possible position to make decisions about whether to run a story or not. Julie is able to identify the right approach for the right media contact and capture this information for the future. More than this, Julie has a creative approach to PR and is able to come up with imaginative ways to secure coverage for her clients. Sore Thumb offers exceptional marketing and PR skills and I have no hesitation in recommending her to you. Julie is a pleasure to work with and gets results! She took time to understand our requirements and budget before proposing a number of options. She has now delivered on these projects and kept us continually updated as well as incorporating new ideas. We are extremely happy with everything Julie has done and plan to work with her again.